Got a question? We're happy to help! See below for answers to some of the most commonly asked questions regarding the thermoplug. Can I use it with the TM31? $50? Isn't that a little... steep? The cost of the thermoplug reflects the high-quality workmanship and materials made in Australia. The thermoplug has been designed with a mix of high grade food stainless steel/nylon composition ensuring it can withstand the high temperatures, locking easily into the base of the Mixing jug. In designing the thermoplug we had a real passion and emphasis on creating a 100% Australian made and owned product. We decided to manufacture right here, in NSW, Australia, rather than shipping or manufacturing off shore like many other companies. Whilst we would love to reduce the price and make it more affordable for everyone, manufacturing in Australia is not as cost effective as it may be overseas. We are passionate about supporting the Australian industry, manufacturing a top product, and ensuring jobs for Aussies in Australia. 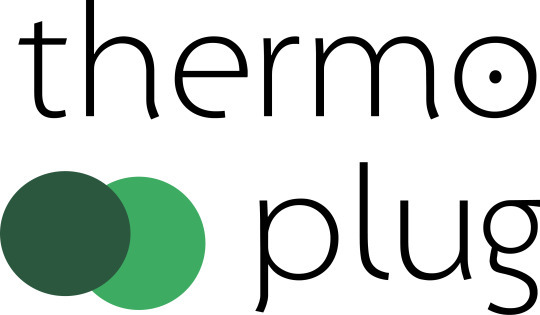 We hope that you can share our passion and are able to experience the benefits of the thermoplug in the not so distant future! Why wouldn’t I just put the mixture in another bowl? You can! However, the thermoplug magically turns your Thermomix® Mixing Bowl into a multi-use bowl. You can then use your bowl for a variety of uses, reducing the need for more dishes, freeing up benchtop/sink space and giving you less washing up! OK, that’s great, but what about liquids? Won’t they leak out when I insert the plug? Thanks to gravity, you’re likely to get a little bit of mixture seep out, but there are ways to help minimize this! When using the thermoplug with thin liquids, and liquid-like consistencies, we recommend pushing as much mixture to one side of the bowl as possible. Once you have done so, lay the mixing bowl on its side, carefully remove the blade, insert the thermoplug and lock it into place. Easy! How do I clean my thermoplug? We suggest following the same process for washing the Thermomix® blade. The thermoplug is safe to be cleaned in your dishwasher. Where is the thermoplug made? We are proud to share that the thermoplug is 100% Australian owned and made. The thermoplug is manufactured right here in NSW, Australia. Which Thermomix® models can the thermoplug be used with? At this stage the thermoplug is only compatible with the TM5. We are in the design phase of working towards an option for the TM31! The thermoplug is available for shipping to Australia and New Zealand. We also ship to United States, Canada, United Kingdom, South Africa, France, Germany, and other countries in Europe. Select your country at checkout to see if it's an option. Please feel free to email us if your country isn't an option. Please note we are not responsible for any taxes/customs duties incurred. Depending on your payment method you may incur a foreign transaction fee. What will happen if I try to operate my Thermomix® with the thermoplug inserted into the mixing bowl? We do not recommend placing the mixing bowl into the Thermomix® with the thermoplug inserted. If by chance you do accidentally do this, we recommend turning off your Thermomix® immediately. Due to the design of the thermoplug, it does not lock in to the turning mechanism of the Thermomix® device, and as a result the thermoplug will not spin, move, or turn. If you use the thermoplug with the heating element of the Thermomix®, the jug may start to heat (this is controlled by a separate part of the Thermomix® device). What happens if the thermoplug damages my Thermomix®, is it covered under warranty? The thermoplug has been methodically designed, rigorously and extensively tested to ensure that it will not damage your Thermomix®. In the very unlikely event that the thermoplug damages your Thermomix® we will replace your Thermomix® (or the damaged part). The thermoplug has been designed to ensure it does not lock in to the turning mechanism of the Thermomix®, the thermoplug will not spin, move, or turn. This replacement policy is not valid for damage that has occurred as a result of incorrect use, mis-use, or accident. For further information on our replacement policy please click here. Payments are processed securely through PayPal and Stripe. During the checkout process you will be asked for your name, address, and email. Unless faulty we do not offer refunds, returns, or exchanges of the thermoplug. Are you associated with Vorkwerk/Thermomix®? We are not associated with Vorkwerk/Thermomix®. We are a small, Australian owned, family business aiming to help you get even more use out of your much-loved Thermomix®!